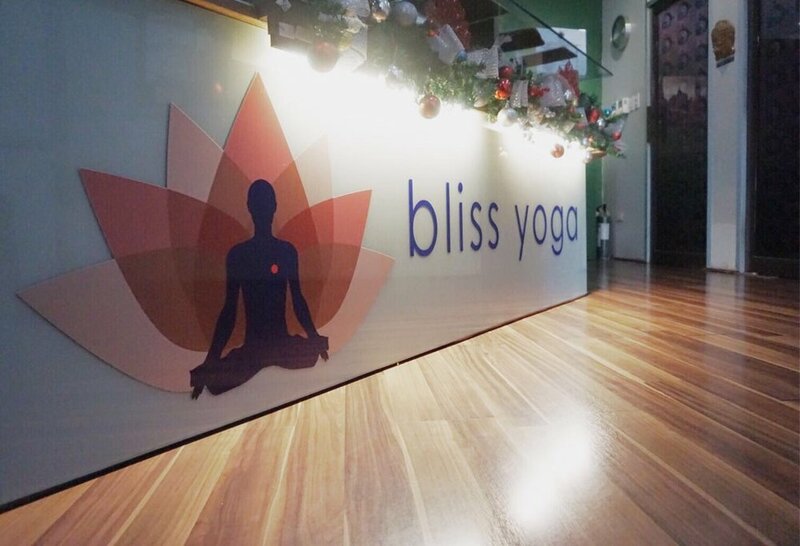 Bliss Yoga’s aim is to help people establish and/or grow their practice--from beginners to advanced practitioners. For beginners and those looking for a gentler practice, they offer Gentle Flow and Yoga Fundamentals classes. Other classes they offer for those who want to better their practice are Vinyasa Flow, Bhakti Urban Flow, Hot Flow, Power Yoga, Jivamukti Yoga, Yin Yoga, and Spiritual Yoga. The studio is located on the second floor of Plaza One Hundred, which is in the corner of the Rufino and Dela Rosa streets in Makati. There’s a Starbucks on the ground floor so you won’t miss it. It’s around a five-minute walk from the Paseo bus stop, and a 10-15 minute walk from Greenbelt 5. Bliss has showers and lockers, but you’ll need to bring your own padlock, or you could keep your bag in the corner of the ashram if the room isn’t full. You’ll also need to bring your own mat or opt to rent one from them instead (P50). The introductory price for new students is P798 for one week of unlimited yoga. The regular drop-in rate is P498, while class packages cost P3,998 for 10 classes and P7,298 for 20 classes. For more frequent practitioners, unlimited classes cost P3,998 for one month and P39,998 for one year. You can get in touch with Bliss for a more detailed list of their packages. Bliss is rather small relative to other studios, which means classes during peak hours (early morning and in the evening) can get really packed, so try going at a different time if you’re someone who likes a little more space during your practice. There's limited shower space, too. If you plan to practice here regularly and have your own mat, it’s convenient that they have a lot of room for you to store them inside. I’ve come to enjoy practicing here in the morning because the studio is very accessible, especially for those working or living in Makati. Roland is a wonderful teacher! With a calligraphy of a beautiful quote on one wall and a wide glass window panel across it, it’s easy to feel zen-like inside the Bliss Yoga Studio. It could get crowded during morning classes on the weekend but for some reason, the space always seems to magically fit all the guests -- it’s never too many or so it seems. Yoga mats are for rent at the front desk so for non-mat owners, expect this expense for each visit. Their studio is clean, neat, and adequately lit. You will love the zen vibe of the studio. I usually go to the morning classes during weekdays however, the early morning classes can get really packed so I suggest attending the hours in between early morning and after office hours. I usually get there about 30 minutes before the class starts but they accommodate me anyways. The staff and instructors are very nice and friendly as well. We want to know what you think! If you've been to Bliss, leave a comment below and tell everyone about your experience.